Wander in the wilderness of Mongolia on the back of a horse with your gear on a camel! Head into the base of the Altai Mountains and the glaciers, exploring them on foot. Western Mongolia is a region in Mongolia covering the provinces (or Aimags) of Bayan-Ölgii, Hovd, Uvs, and Zavkhan. It is the most remote region of the country with paved roads from the capital, Ulaanbaatar, ending 320 km (200 miles) before reaching the eastern most point of Zavkhan. 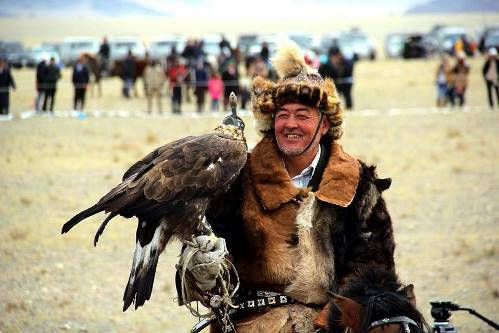 It is also the most ethnically diverse, mountainous, and scenic region of Mongolia, with thousands of years of history. The region is home to the Kazakhs, a Muslim tribe from near the Caspian Sea, and Oirats, or western Mongols, which can be divided into 10 different tribes, as well as Khalkhs, or eastern Mongols. In addition to the ethnic diversity, the region is home to the Altai Mountain Range, with the highest peaks in Mongolia, Lake Uvs, a large saltwater lake, and many smaller lakes, mountains, rivers, forests, and steppe. Spread throughout the region are countless archeological sites with petroglyphs, cave paintings, standing stone monuments, monasteries, and ancient forts that date back as far as 10,000 years. Horse and camel pack deep in the mystical Altai Mountains. Explore and climb the mountains and glaciers near the headwaters of the Tasaan Gol. Then descend the class II-III river. Travel among the local people, staying in ghers with themThis exploration will use camels, horses, packraft, 4-wheeled vans and our feet to explore the land and its people. It is a quintessential exploration and adventure. Serious adventure! 4 person max. Joined by our local Mongolian friend Enee.